Fold the hat in half, and smooth out the fabric so that it lies flat. Measure through the middle from the top of your first round to the bottom of your last round. 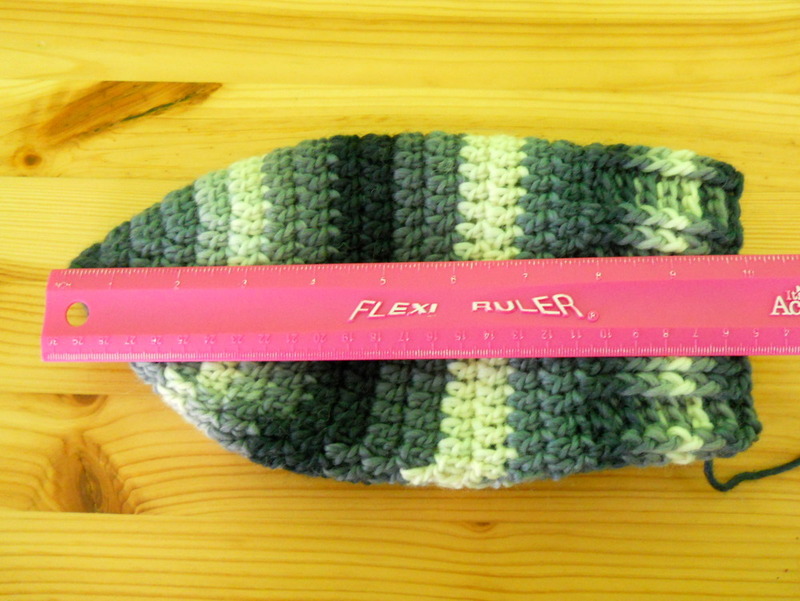 Once you've worked the sides, however, the hat won't lie flat anymore. 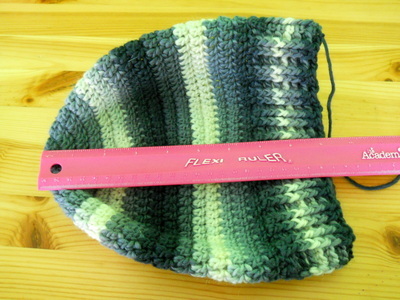 So you need to fold it into quarters and then take the depth measurement through the hat's middle. See photos below. This hat doesn't lie flat, so the measurement isn't accurate. By folding the hat in quarters, you get an accurate depth.